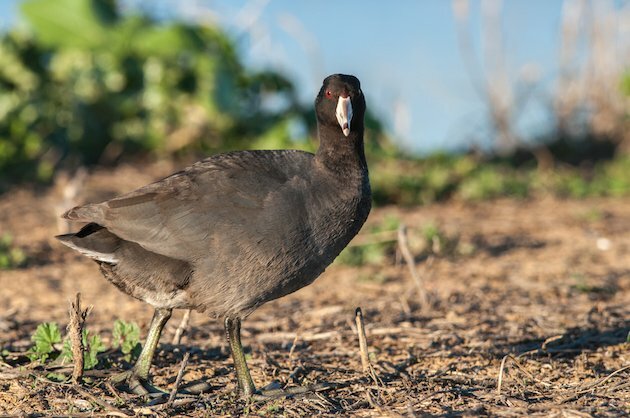 Maybe it’s because the American Coot (Fulica americana) is the most abundant and widely distributed species of rail in North America that it gets no respect? 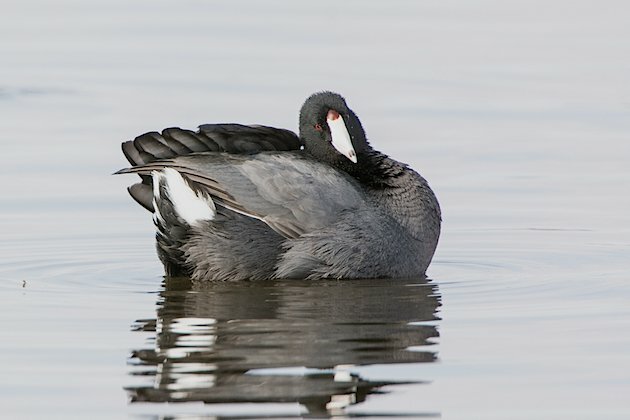 I mean we see them everywhere, in almost any of a broad variety of wetlands, including freshwater lakes, ponds, marshes, roadside ditches, and industrial-waste impoundments, as well as in coastal marine habitats. 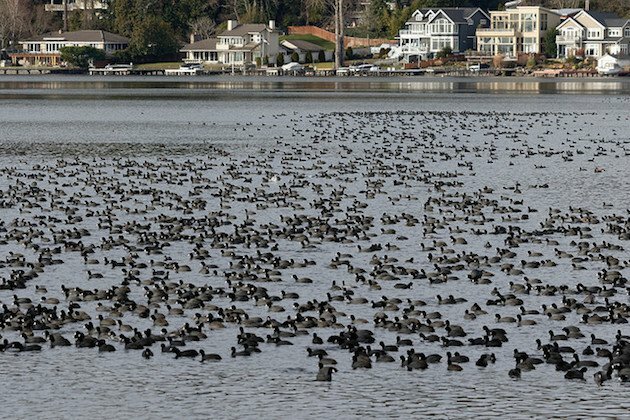 As we come upon winter, we often find Coots in rafts of thousands! 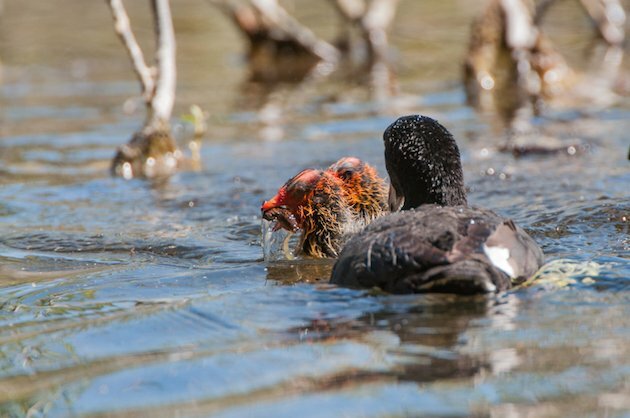 Even if you don’t appreciate the American Coot adult, you have to love their hatchlings like the one in the featured image above and these little guys being fed by their parent at Lassen Volcanic National Park. 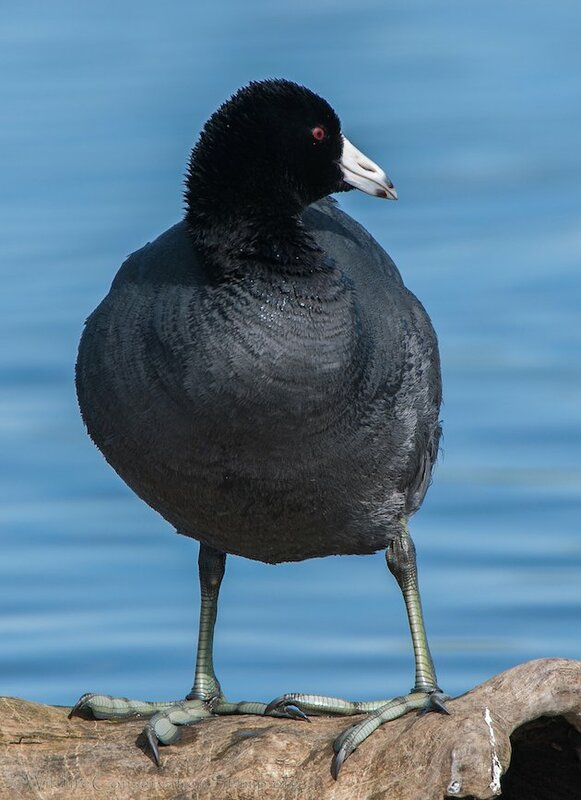 and the very cool lobed green feet! 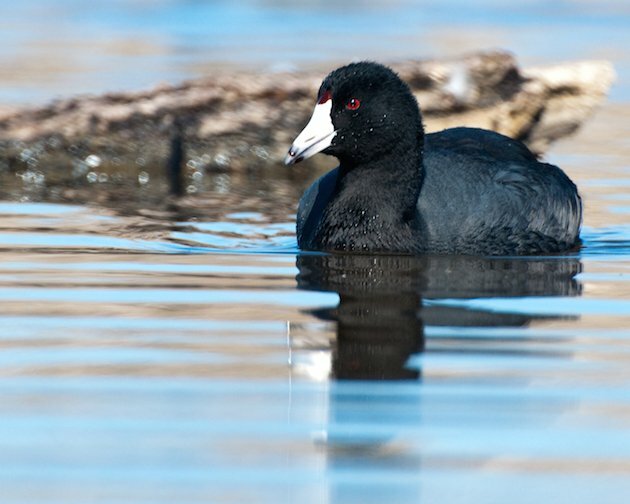 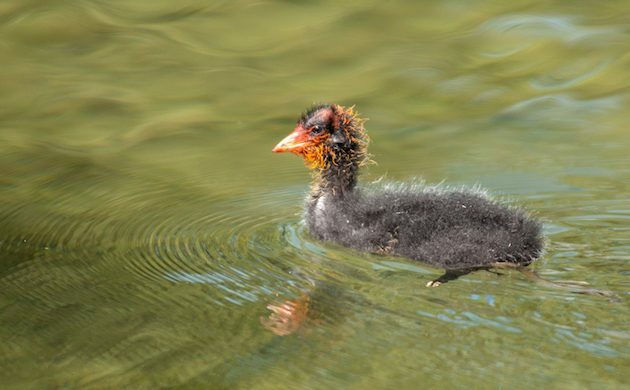 Plus, American Coots may be smarter than you think. 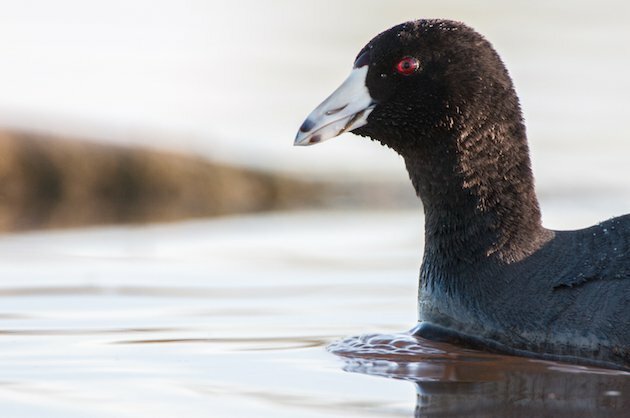 Following is a video I shot of some Coots picking up the morsels brought to the surface by a few Ring-necked Ducks as the ducks dove for their meal.